Under represented Burnley Fans are set to benefit from an improved matchday experience and better links to the club following the news that Burnley FC in the Community (BFCitC) and the Clarets Trust have been awarded a grant of £18,420 from the Premier League Fans Fund. The grant will enable BFCitC and the Trust to have an improved presence in the fanzone on matchdays which will provide information for new and existing fans as well as provide a voice for fans through the Clarets Trust – a constituted, democratic and representative group of supporters and small shareholders. To celebrate this grant, the Clarets Trust offered all of its members’ FREE access to the Burnley FC Women vs Liverpool Feds game on Sunday 27th January, promoting the work of the Trust to the supporters of the female game. 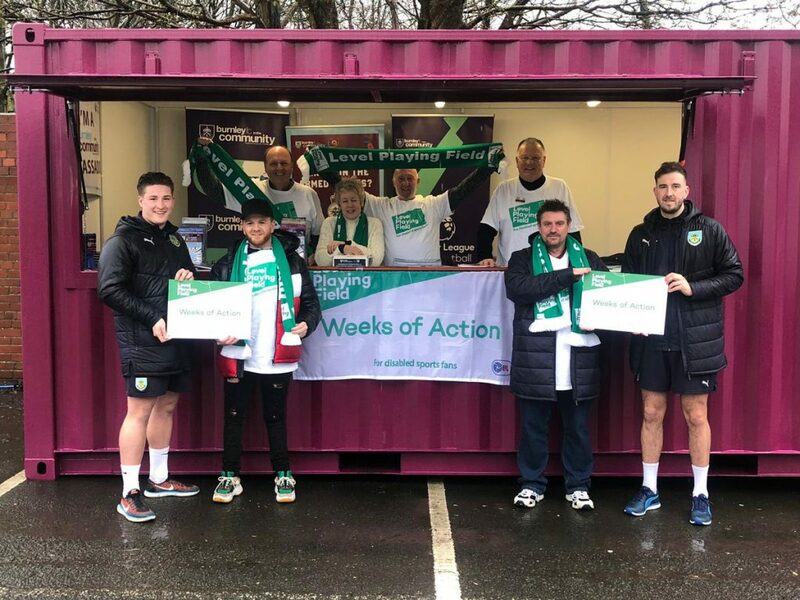 BFCitC and the Clarets Trust also teamed up with the Official Disabled Supporters Association to host the Level Playing Fields ‘Weeks of Action’ at the last home fixture against Leicester City, providing a meeting point for supporters with disabilities looking to join the DSA as well as give away t-shirts, badges and scarves. The Premier League Fans Fund is a commitment from the Premier League to fund projects and organisations which improve the relationship between fans and their clubs, the way football supporters engage with each other and fans’ experience of the game. Ryan Bradley, Business Development Executive at BFCitC, said: “The Our Club, Our Community, Our Trust project brings together key organisations who are working towards improving the matchday experience and getting more fans involved with the club. By providing a one-stop information point in the fanzone, supporters new and old will have a place to go to find out what is going on at the club and in the community. 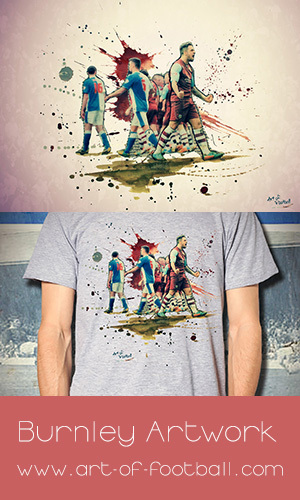 Get 10% off all purchases at The Art Of Football. Enter code: CLARET at checkout. All sales will benefit the Trust. The Clarets Trust is an Industrial & Provident Society set up in September 2004. We are a voluntary, democratic and not-for-profit organisation run by supporters, for supporters.